Bidi Bidi Banda is Austin's first all-star Selena Tribute. 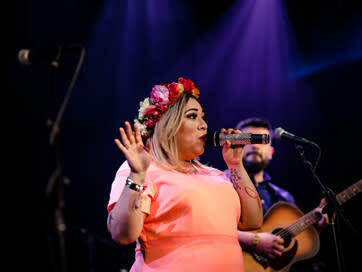 Composed of members of some of Austin's premier latin bands, Bidi Bidi Banda is the refried dream of Stephanie Bergara, a native Austinite who grew up listening to Tejano radio and singing in to a hair brush while wearing her mother's red lipstick. 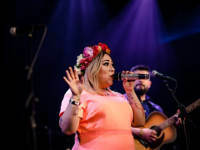 The band's interpretation of Selena's greatest hits will leave you belting lyrics, doing the washing machine and reliving greatness of the Queen of Tejano Music.